My story, “Rainbows For Other Days,” is about a cyborg ranger torn between his humanity and his programming–and the hauntingly simple way in which he copes. It will appear in volume 30 of the L Ron Hubbard Presents Writers of the Future anthology. 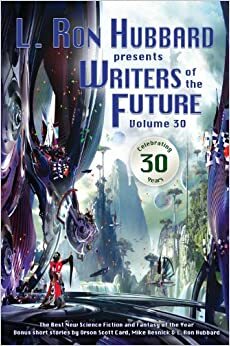 If you haven’t read the Writers of the Future anthology before, check it out. The stories are the winners in the most prestigious short story competition in speculative fiction, and there’s always something for everyone.